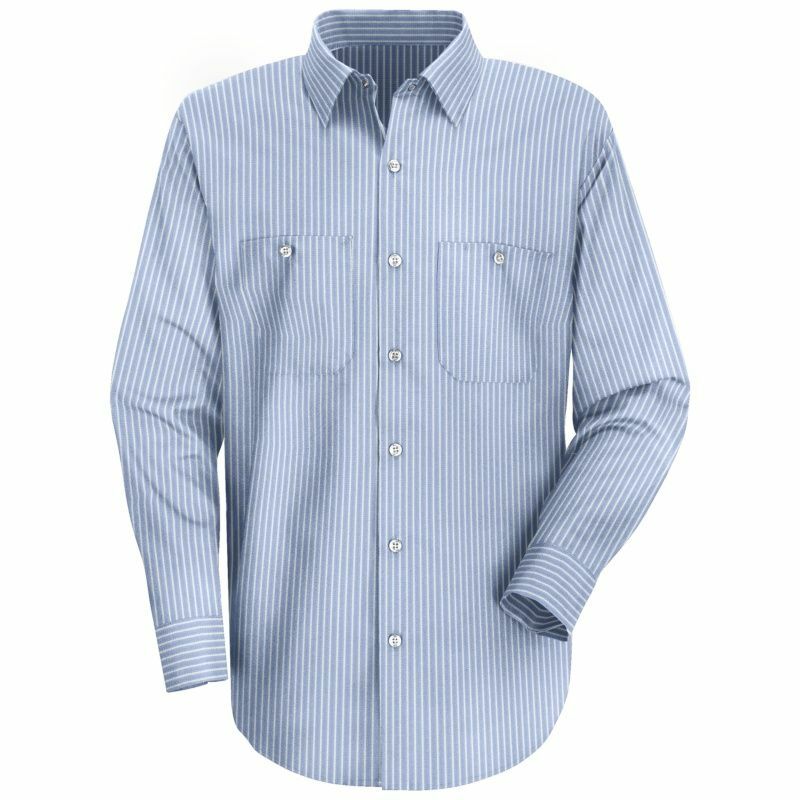 Industrial stripe work shirt with color retention and soil release. Six-button front with button at neck. 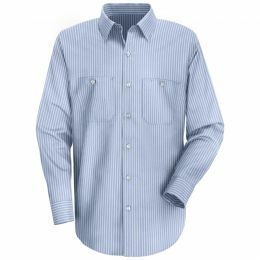 Two button-thru, hex style pockets with bartacked pencil stall on left pocket.